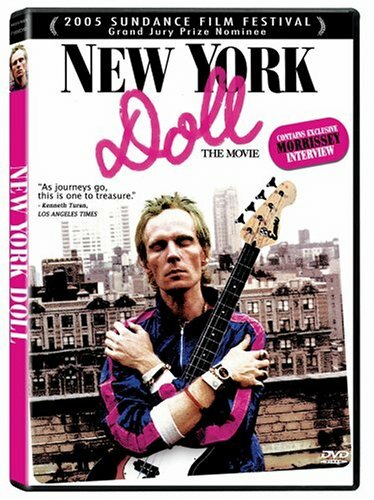 After the break-up of glam rock pioneers The New York Dolls in 1974, the majority of the band went on to expand their careers, while bassist Arthur Kane faded away into virtual obscurity for almost three decades. He struggled for years to get his musical career back on track while battling alcoholism. In 1989, after a stay in the hospital, a clean and sober Kane decided to embrace the Mormon faith, and through his contacts in the church he got a job working in a Mormon genealogy library in Los Angeles. But in the early Spring 2004, rock star Morrissey, formerly of The Smiths, and curator of London’s 2004 Meltdown Festival, asked the surviving three New York Dolls to reunite for the show. Caught between disbelief and angst, Arthur was nonetheless ecstatic at the notion of realizing his life-long dream.